Future Bones are one our favourite discoveries in the last year at Death By Repetition where we have featured a few of their EPs and they also recorded an excellent Guest MIx for us recently!! This new mix from them is Pure body music. Don’t want to go to the gym, put this mix on and dance away it’ll work a treat. The mix is around an hour long and has some tracks from some of our favourite DJ’s. The mix starts of slowly with Expect Delays track Manhole which is a Skinny Puppy Cover.The mix gets a little more serious as you hear the arpeggio and stabs of the one and only Sir Andrew Weatherall who’s slow motion dub of Stealth’s track Walk of Shame which does not disappoint as you would expect. After Weatheralls expertise comes the highly recommended and highly talented Eskimo Twins track, Fockwulf. I had the pleasure of meeting the two “twins”at Unknown last year and they played a blinder of a set, one of the best sets of the festival. Moving on, Locassolus, known as the legendary DJ Harvey gets his track reworked from Andrew Meecham, a man with his fingers in every pie, being half of Future Four with ErolAlkan and his main project the mighty Emperor Machine who have just released a great album, Like A Machine. Croatian stalwart Squarewave hits us with his musical palate on his track Robot War. One of my favourite people at the moment is YoanLokier from Mexico City whose tracks sound like something out a horror movie. I would especially checkout her track Haunted Dance, it’s a slow mover with a killer groove. Newcomer Belly, a mysterious character that hails from Manchester gets a remix of his track Dark Autumn, from Relish Recordings boss Headman, who coincidentally, has a new EP coming out very soon, on his own Relish, coincidentally. OFFSET, the French duo whos track Retro Future also appears on the new Correspondant EP Summer Split is another staple in DJ sets. 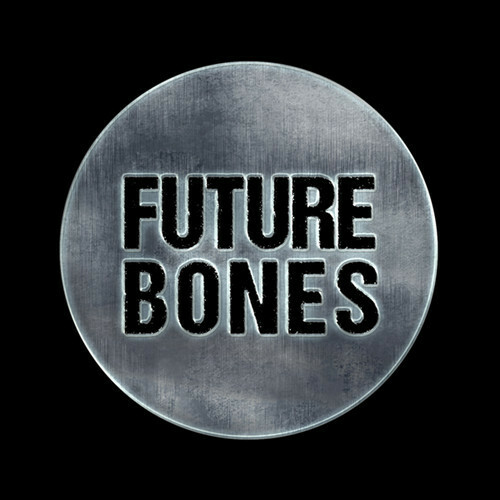 The rest of the mix is what you would expect from Future Bones, funky, groovy and trendy. The rest of the mix speaks for itself with tracks from DJ’s and remixes such as Phil Kieran, recent Clouded Vision releaser Dark Strands with a remix by The Hardway Bros Sean Johnson and finally half of Crimes of the Future Boss Timothy J Fairplay who’s track Somewhere In The City gets the remix treatment from the one and only Daniel Avery. All I can say about this mix is sit back, relax and turn it up loud. This mix is dark, fun and hip and if you are looking for something to listen to before heading out clubbing I would seriously recommend this for some serious foot tapping.